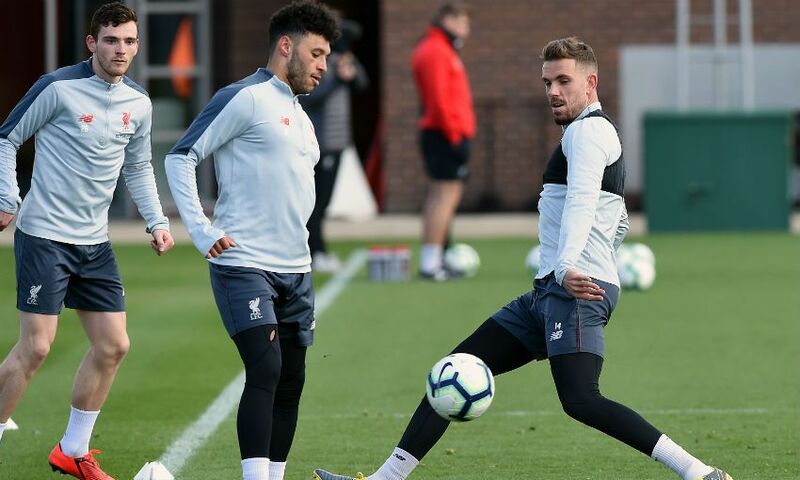 Follow all of the build-up, action and reaction as Liverpool face Southampton in the Premier League at St Mary's. Liverpool secure a huge victory at St Mary's to go back to the top of the Premier League table. They had to recover from Southampton taking an early lead in order to do so as Shane Long blasted them in front. The Saints caused plenty of problems throughout, but Naby Keita's header restored parity on 36 minutes. And then, with 10 minutes left, Mohamed Salah finished off a counter-attack to put the Reds in front before Jordan Henderson slotted in a crucial third to seal the points. The captain slots in a crucial third to - hopefully - see off the threat of Southampton. 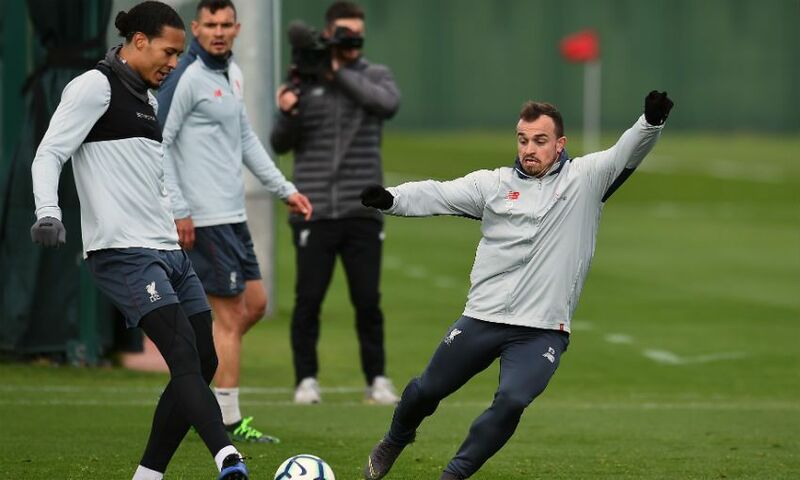 Firmino does superbly to hold up the ball down the right before crossing low into the area, where Henderson arrives to slot in from close range. 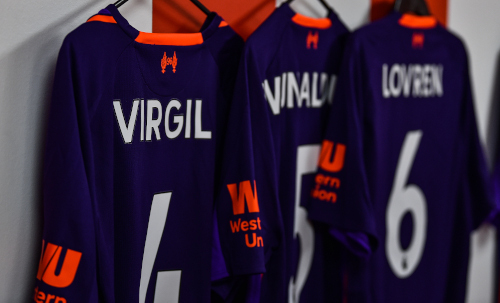 Double change for the hosts - Vestergaard and Romeu off, Austin and Armstrong on. 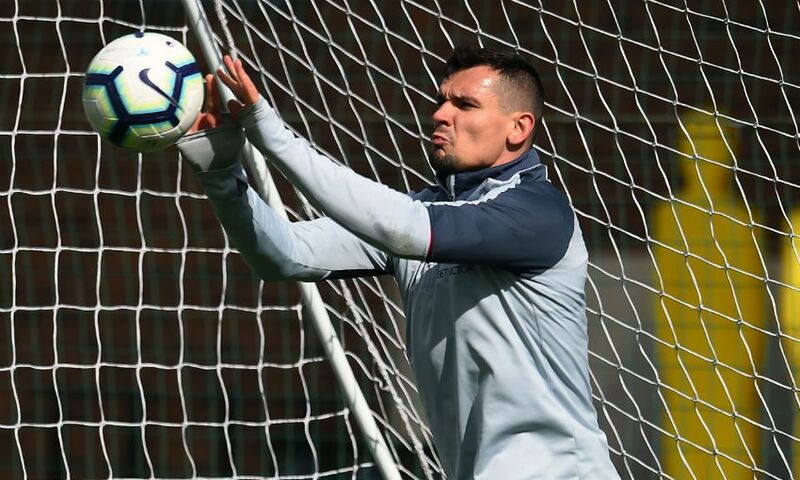 Liverpool are in front as they counter from a Southampton corner. 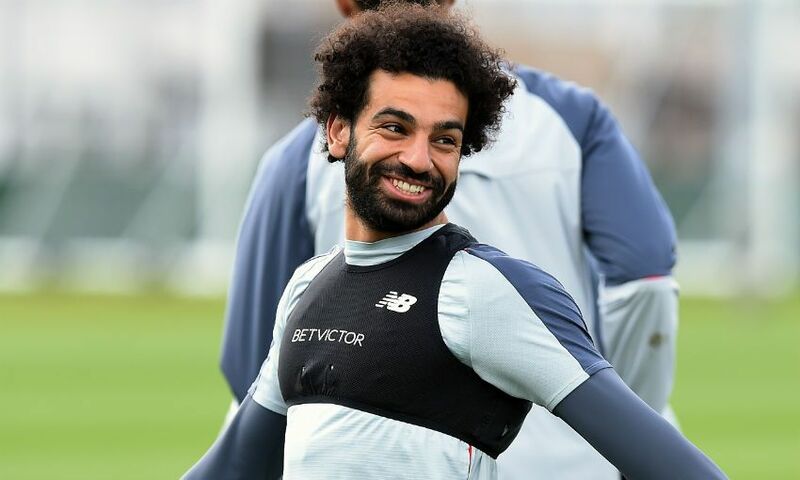 Salah leads the charge from inside his own half, with Firmino in support. But he doesn't need him as he races on and lashes in his 21st goal of the season to send the visiting supporters into bedlam. Play is halted as Yoshida and Vesterdaard are down inside the Southampton box getting treatment. Bertrand is booked for time wasting at a throw in. Mane slides Robertson into space for a cross down the left, but he overhits it. The game is being played at frenetic pace now. 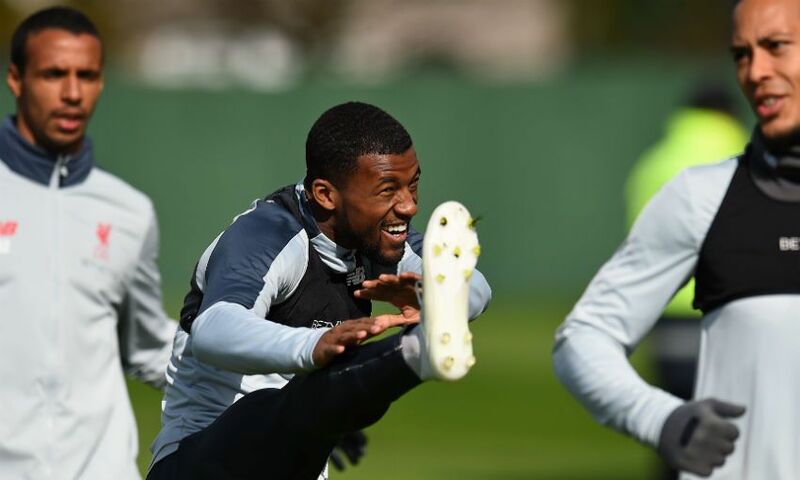 Liverpool are doing all the probing, but can we make it count? 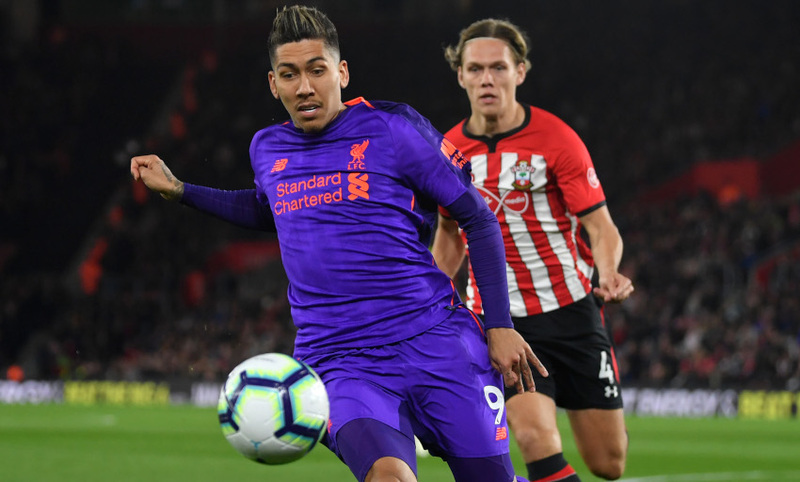 Firmino takes down Keita's cross on his chest and shoots from eight yards out, but it's blocked by Vestergaard. 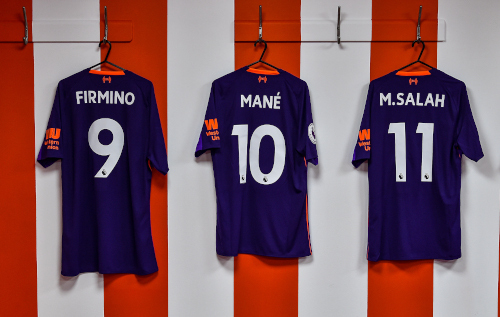 Mane charges towards the byline and pulls it back for Firmino, but he scuffs his strike well wide of the near post. Long goes off and Sims comes on for the home team. Milner has a shot charged down... it breaks for Firmino, but his drive from distance is too close to Gunn. 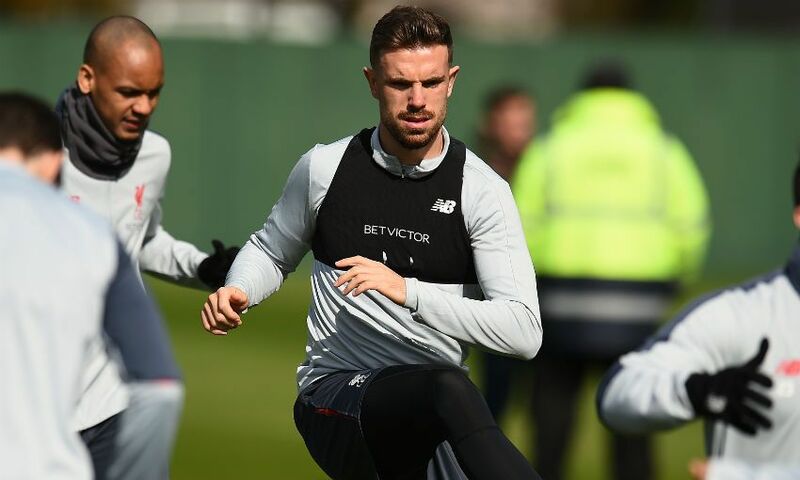 Here is that double change - Wijnaldum and Alexander-Arnold come off for Henderson and Milner. Keita goes down in the box after a one-two with Mane, but the referee waves it away. 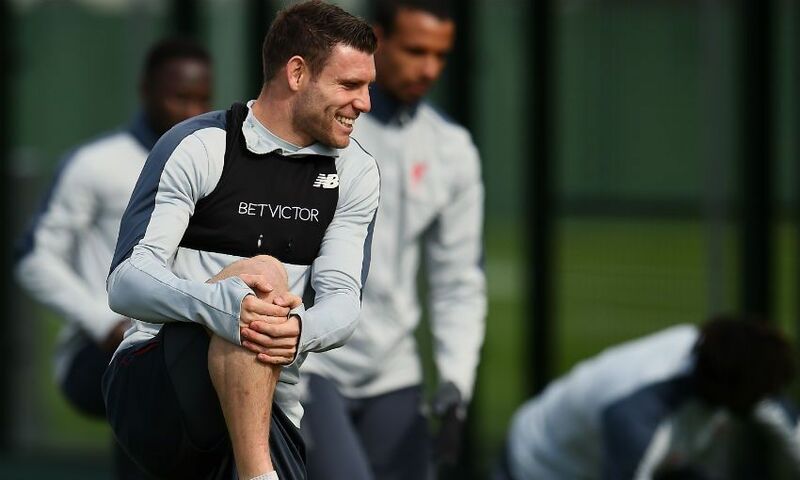 Jordan Henderson and James Milner are being readied to come on. Southampton have again started well and Liverpool are having to deal with plenty of pressure from the hosts. 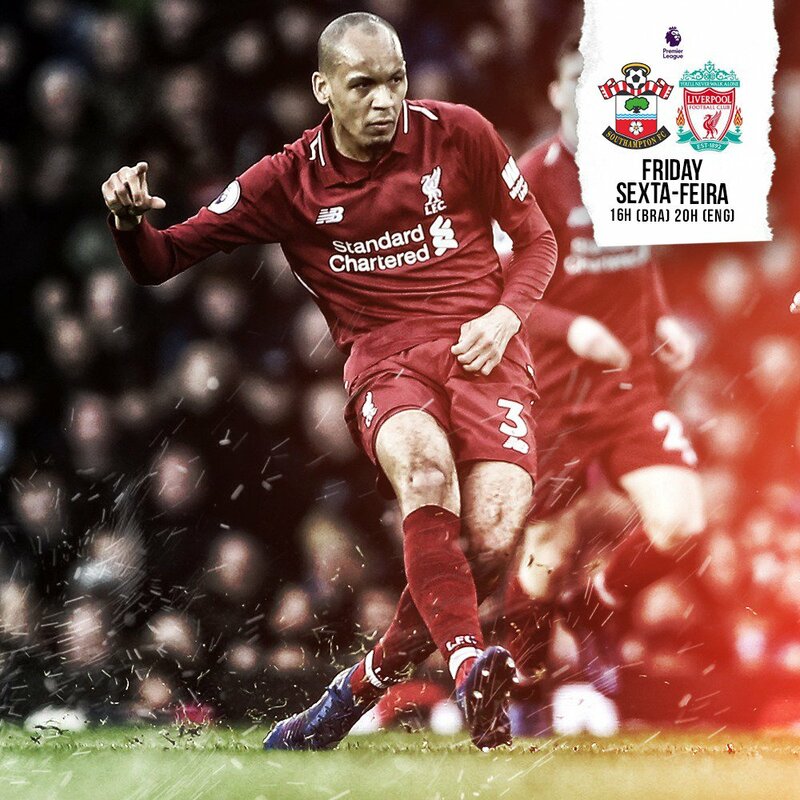 Redmond skips beyond Fabinho and looks to shoot, but Matip blocks at the near post. Redmond has a shot deflected behind for a corner for the hosts. 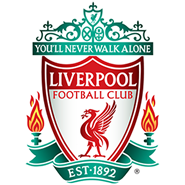 Yellow card for Bednarek for hauling back Mane on the touchline. 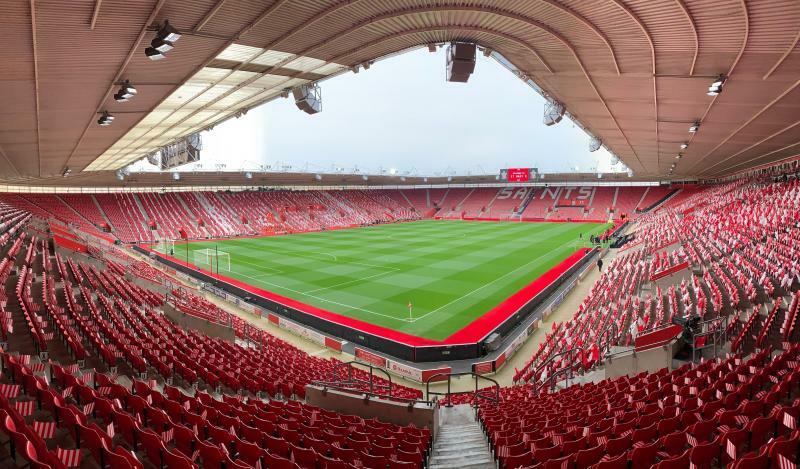 Southampton re-start the game at St Mary's. The teams return to the dressing rooms on level terms after a high-tempo first half. 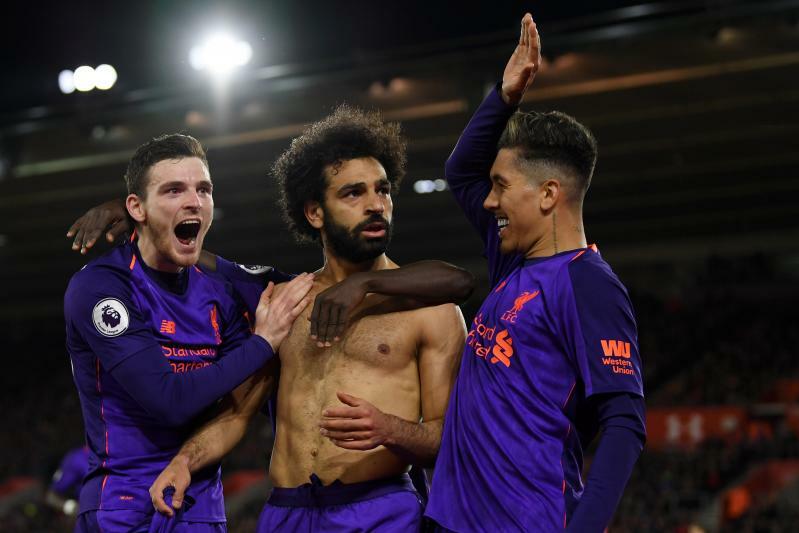 Shane Long gave Southampton the lead after just eight minutes when he lashed in from close range, but Naby Keita's header restored parity for Liverpool on 36 minutes. Firmino arrows a low shot across goal goal from the corner of the area. It's never troubling Gunn, though. 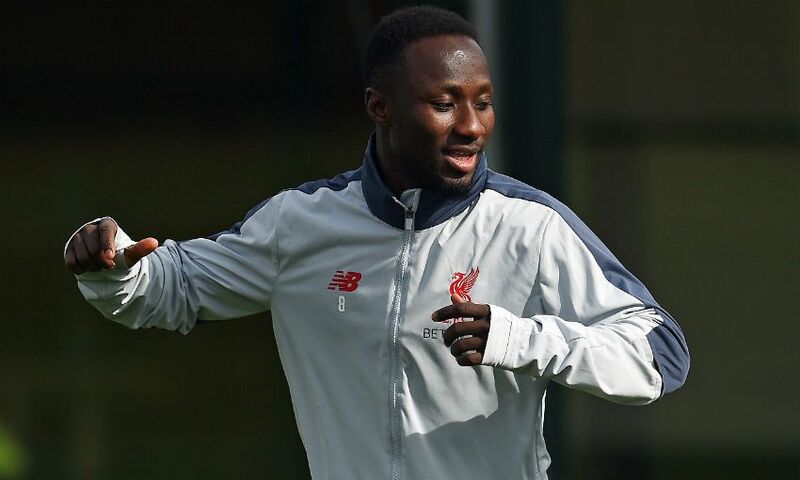 Naby Keita's first Liverpool goal after 1,423 minutes of action. That is, of course, Keita's first goal for Liverpool. 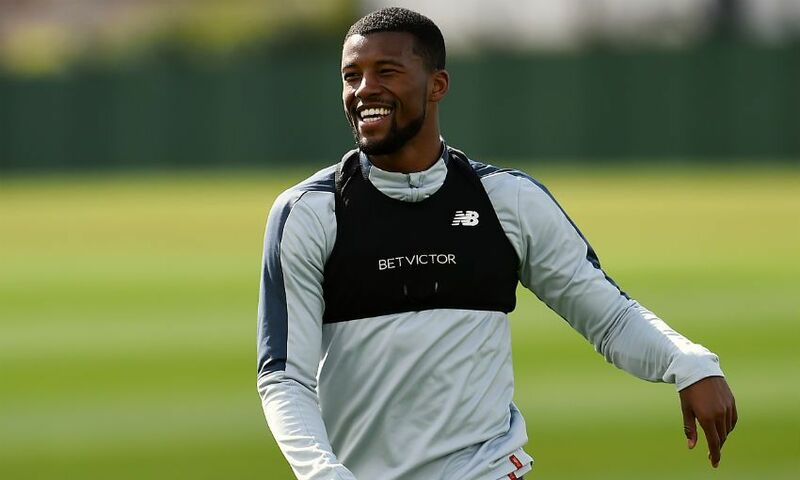 A spell of pressure and a succession of crosses into the area finally ends with Keita heading in Alexander-Arnold's cross at the back post. Gunn gets a hand to it, but can't keep it out and it's 1-1. 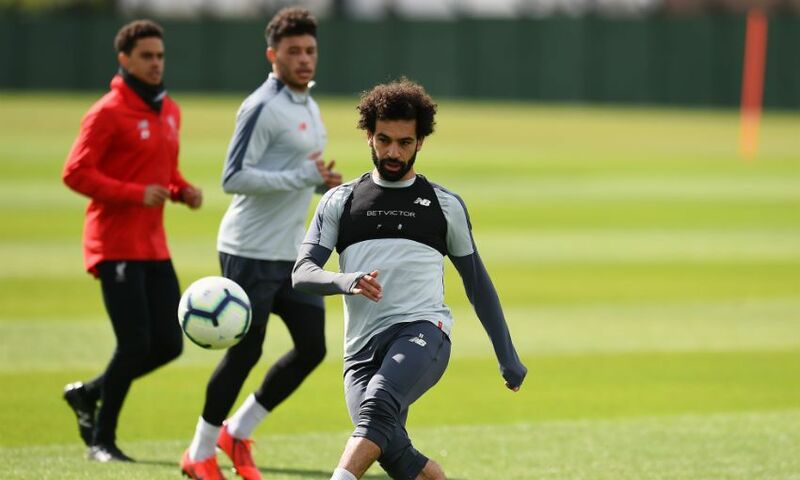 Firmino hooks a half-volley well over the bar after Mane's attempted ball for Salah was headed away. Salah has a shot blocked inside the area after a short-corner routine opens up space for him. 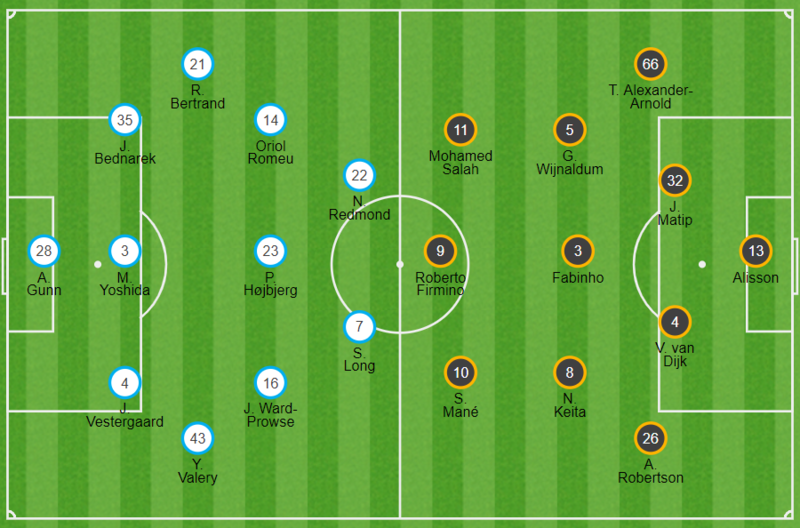 It's almost 2-0 to Southampton - and it's sloppy from Liverpool. 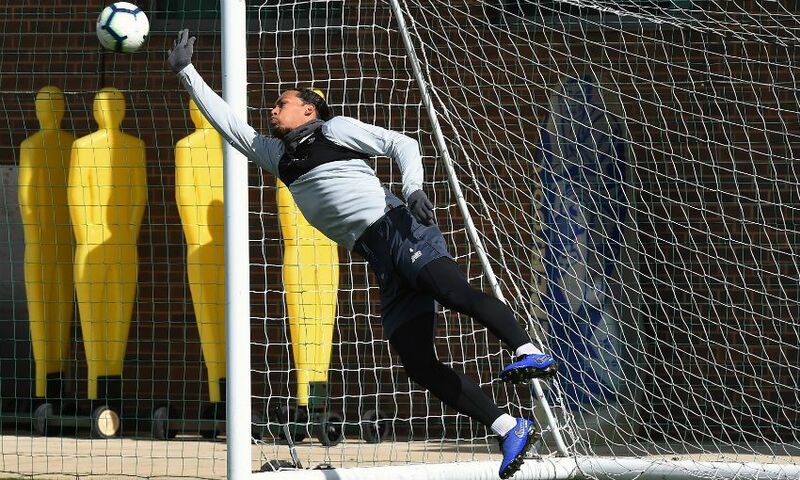 Alexander-Arnold's clearance under pressure strikes Redmond, Bertrand crosses for Long, but Van Dijk sweeps over his own crossbar. Liverpool so, so close to an equaliser. Salah's cross finds the head of Mane, whose powerful downward header is pushed away by Gunn. Keita latches onto the rebound, but can only strike into the side netting under pressure. Better from the visitors, though. The start none of us wanted at St Mary's as Shane Long puts the hosts into the lead. 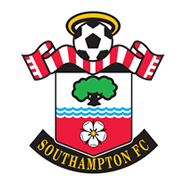 Hojbjerg flicks on Bertrand's cross from deep and it loops into the path of the Saints No.7, who is unmarked and eight yards from goal. 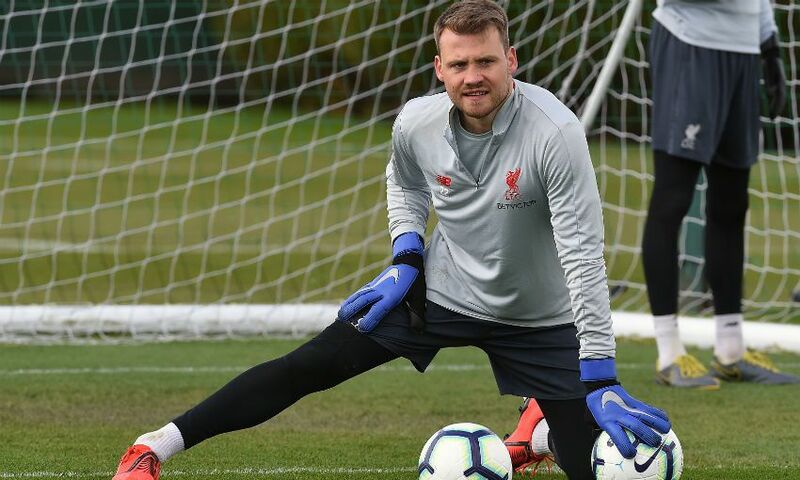 He makes no mistake in blasting beyond Alisson. 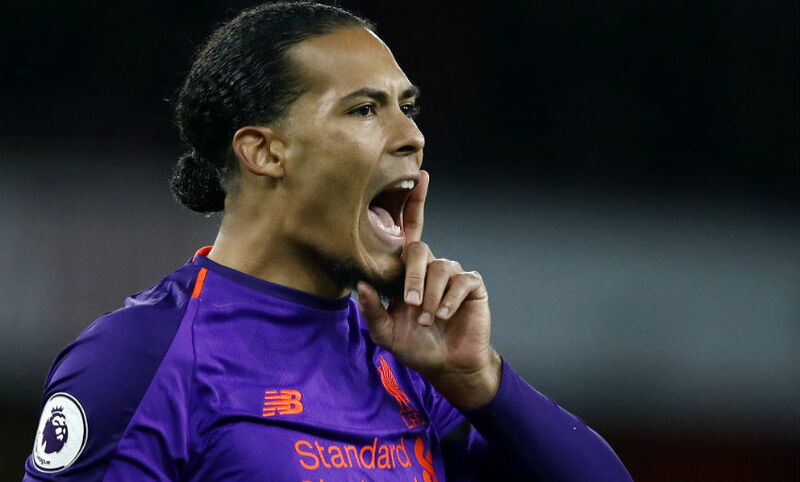 Liverpool have dominated the ball early on, but Van Dijk needs to halt a Southampton break by getting in front of Long to head Redmond's cross behind. Mohamed Salah starts the game and we're up and running at St Mary's. The pre-match light show is coming to an end and the teams are heading out onto the pitch. Kick off is just moments away. 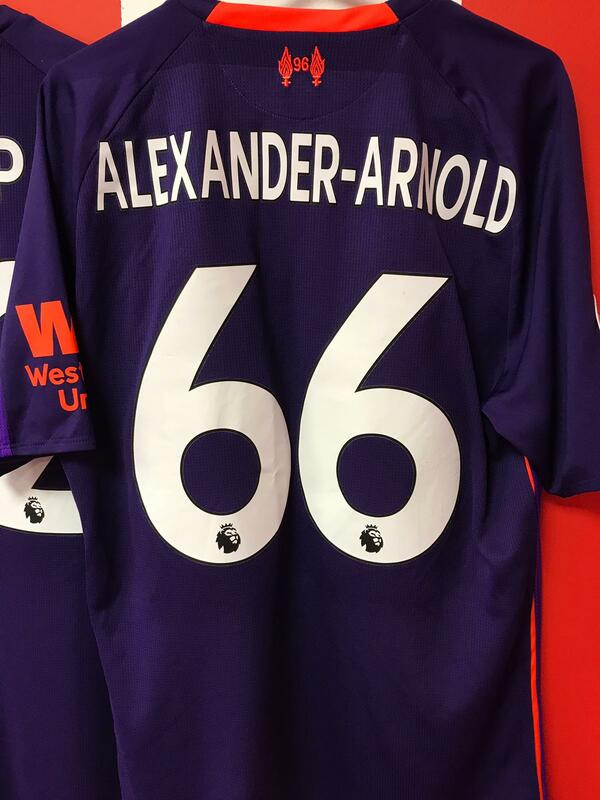 A 50th Premier League appearance for our No.66 tonight. 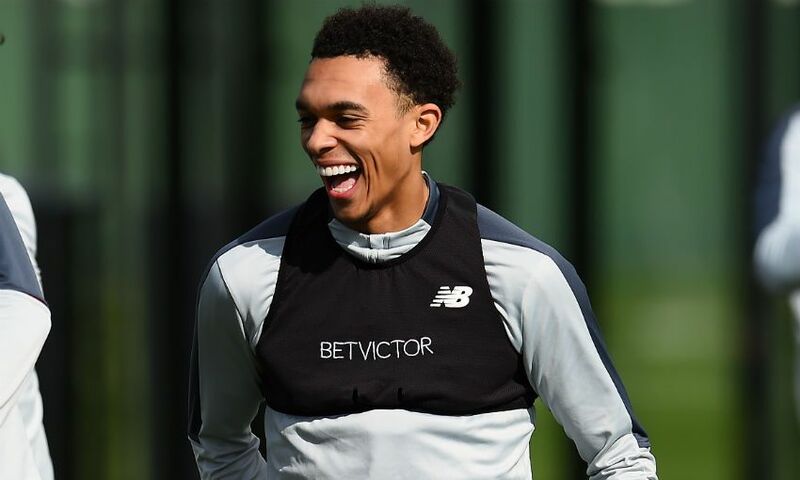 Alexander-Arnold is the fifth-youngest player to achieve the landmark for the club in the PL era. 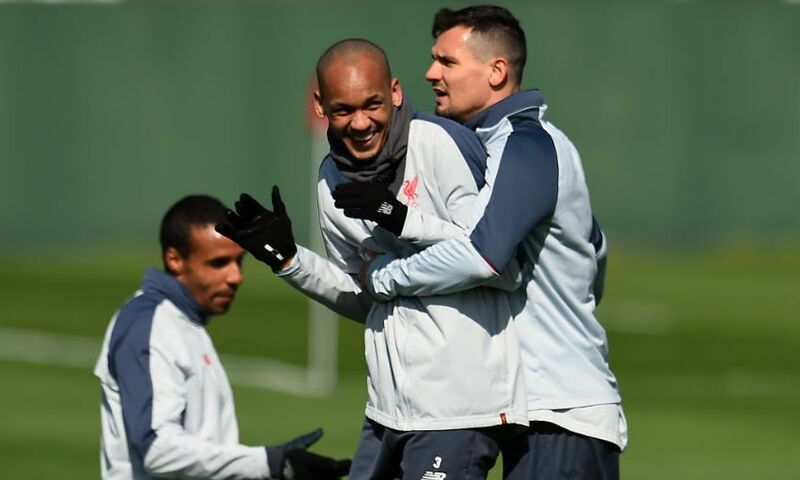 The boss' pre-match interview with Sky Sports included his reasons for introducing Fabinho and Keita into the starting XI on the south coast. 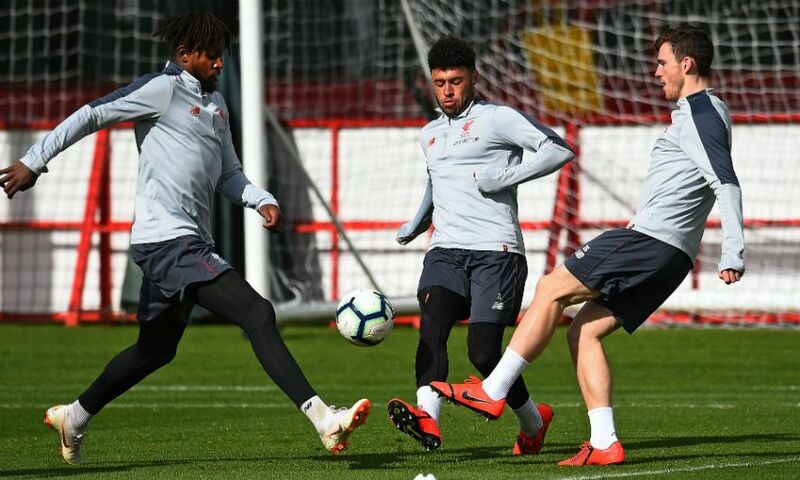 "Just bringing in fresh legs, adapting to the opponent, adapting to the intensity of our game," said Klopp. "We had pretty much all of them available and so we can make decisions. So we made decisions for the game and that's the decision." 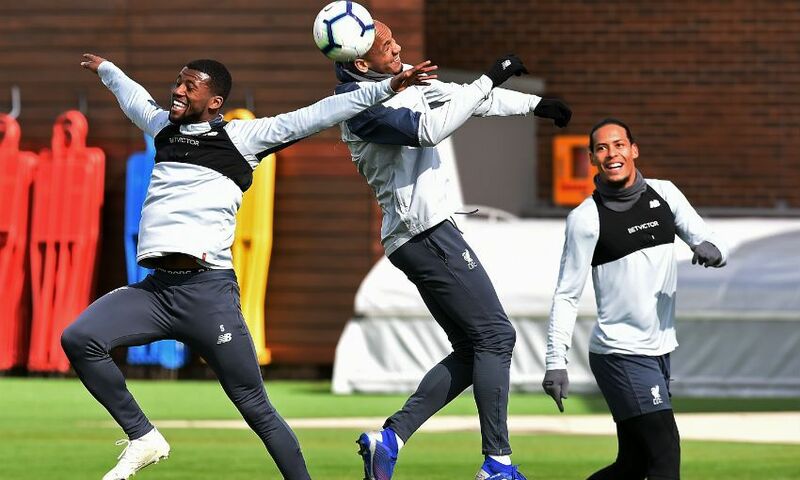 Liverpool's teamsheet confirms two changes this evening as Fabinho and Naby Keita come into midfield in place of Jordan Henderson and James Milner, who are both on the bench. Reds legend Jamie Carragher asks the questions in the pre-match host broadcaster interview tonight. 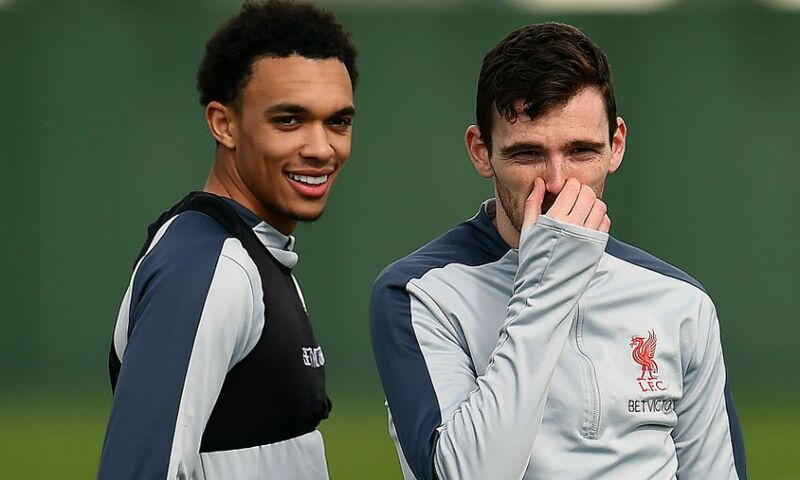 Andy Robertson is the interviewee. 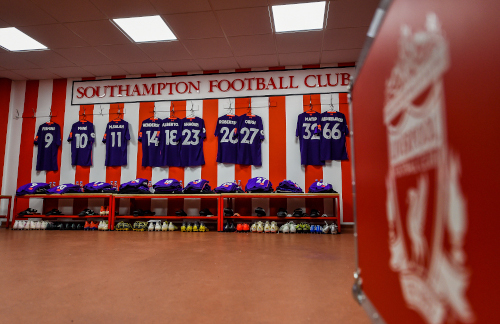 ...our gallery of the squad's Southampton preparations can be viewed below. #FNF Southampton v Liverpool @SkySportsPL 7:00! 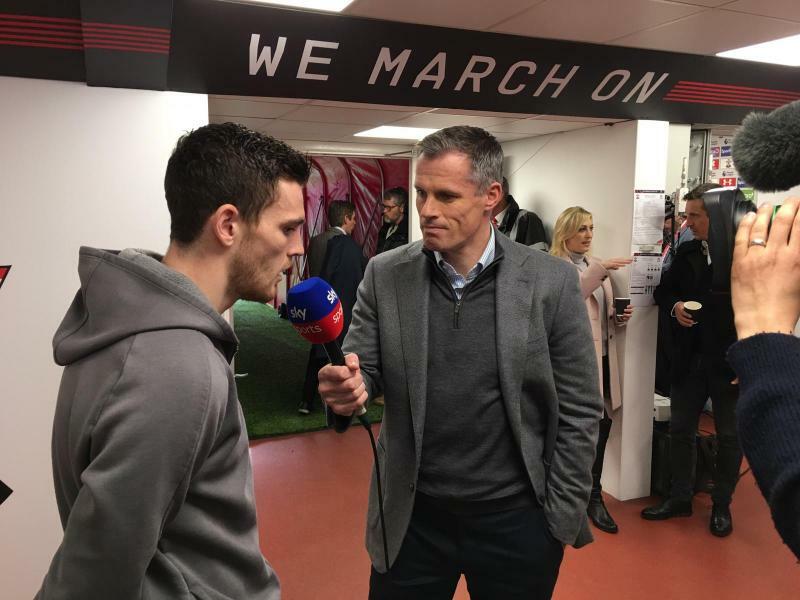 Reds legend Jamie Carragher is at St Mary's to see tonight's game and he has been talking to Sky Sports about the task facing Klopp's men on the south coast. "The energy in the team has massively improved," he commented of Saints. "James Ward-Prowse has been a huge part of that. 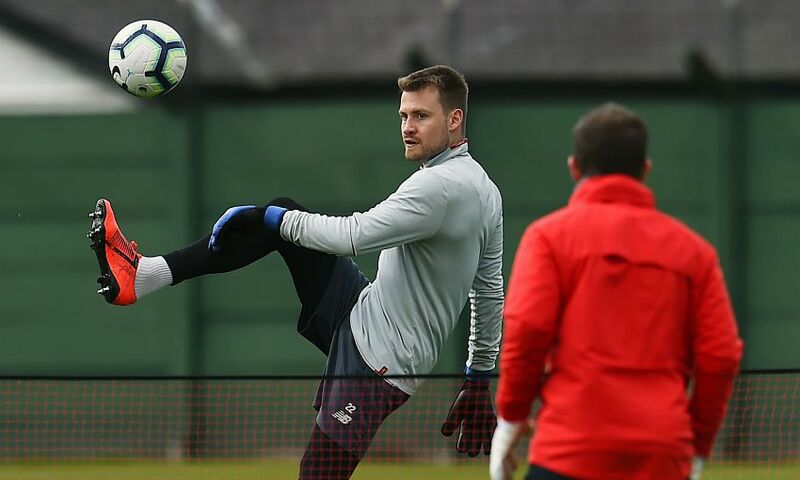 He's playing a lot more now than he did under Mark Hughes and the energy in this team has completely changed. 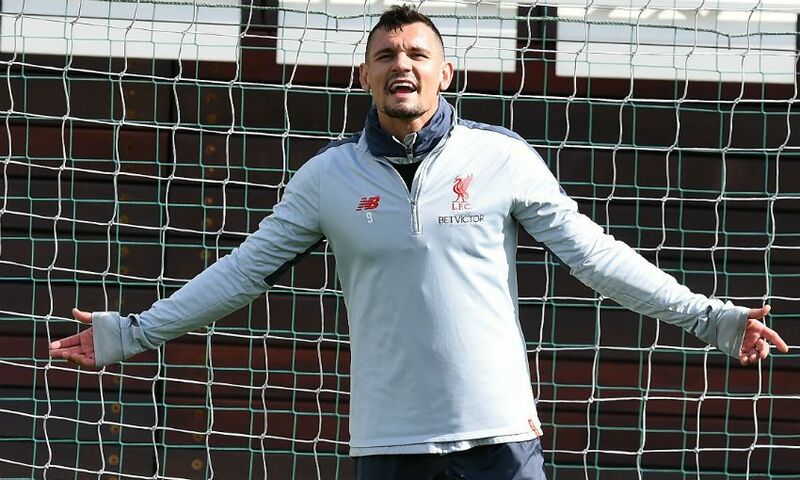 "Liverpool will want to keep possession and score goals but when you've got that pressure on it's not easy, it becomes more difficult." ...at St Mary's. Big night ahead. 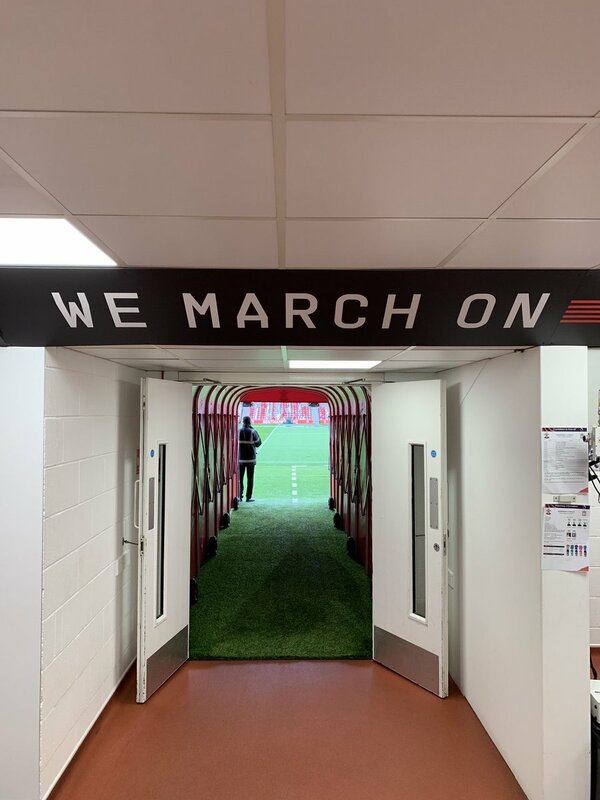 Southampton boss Hasenhuttl speaks of his respect for the Reds' efforts so far this season – and their pursuit of the title – in his matchday programme notes. 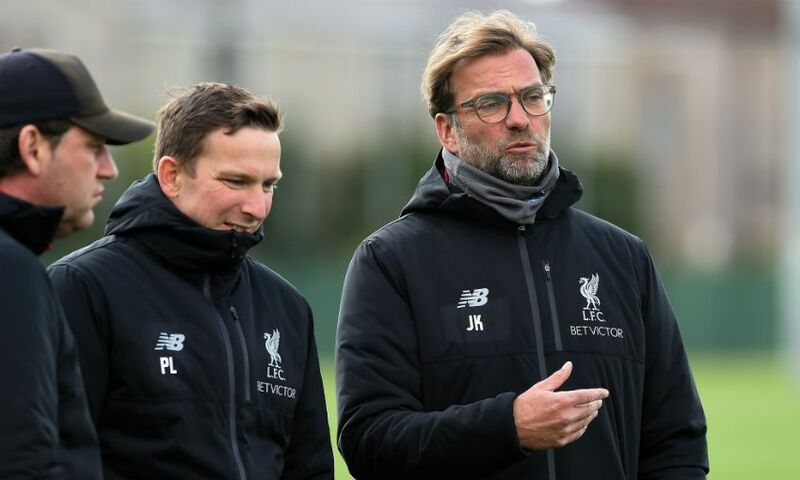 "Jürgen Klopp, his staff and players have done a fantastic job in getting Liverpool into a position where they are competing for the Premier League title and still in the Champions League," he writes. "Everybody knows Manchester City won the Premier League last season with 100 points and could be close to that number again this year. 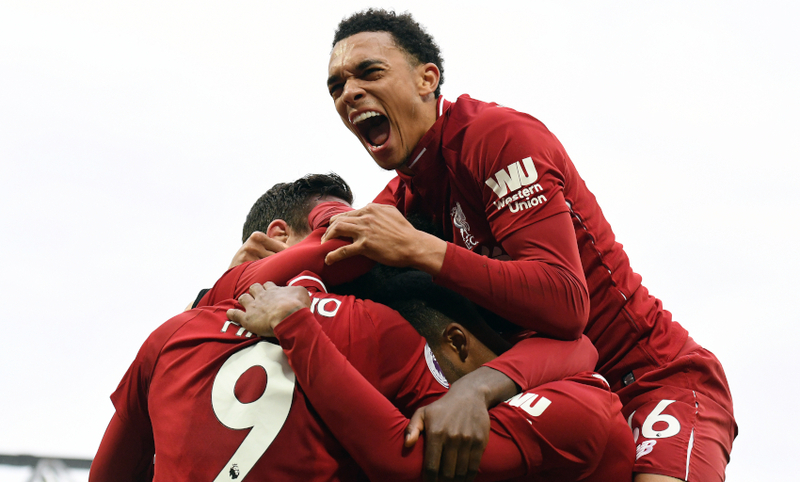 For Liverpool to be so close in the race is an incredible achievement." Have a closer look at their markets and place a bet here. 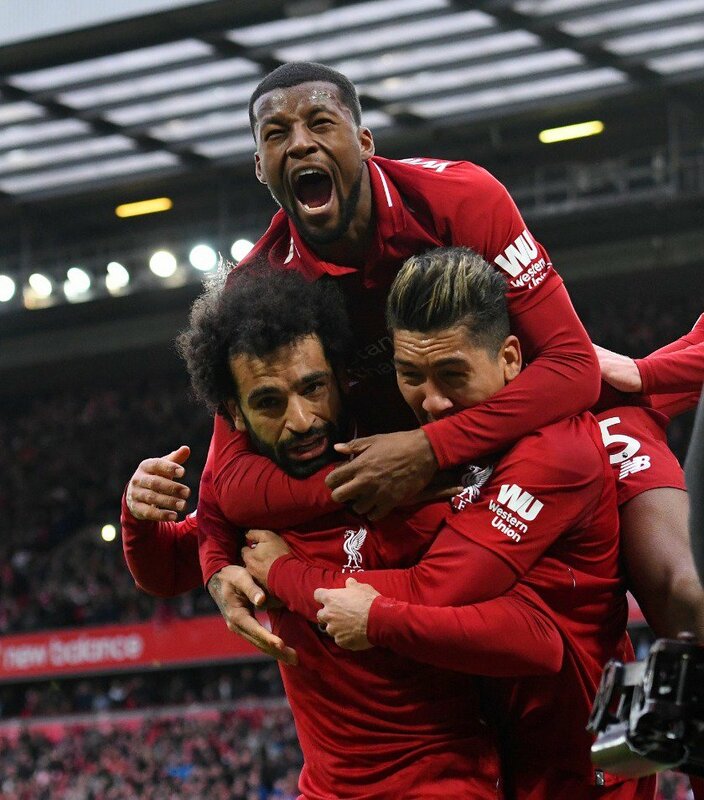 Liverpool now have as many points (79) as they did when they last lifted the league title in 1989-90. They have won more matches this season (24) than in that campaign (23). The Reds have lost just once in their last 10 league meetings home and away with Southampton - winning six and drawing three. Of the last 51 league matches in which Jürgen Klopp's side have scored the game's opening goal, they have won 42 and drawn nine. 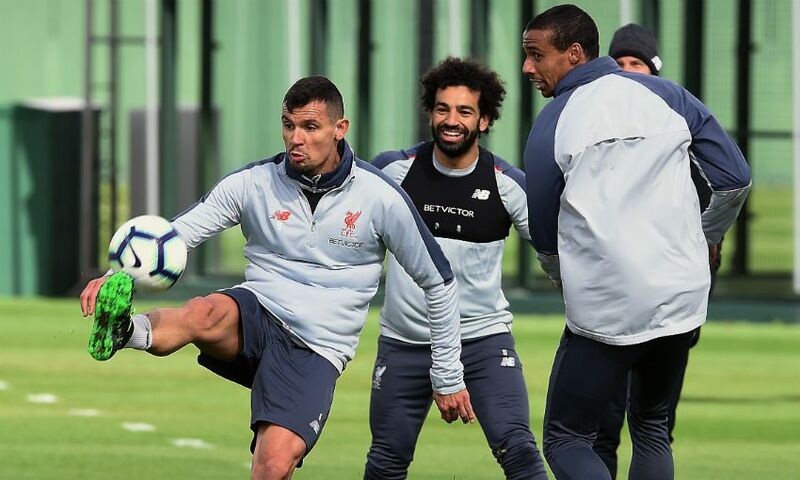 Mohamed Salah, Alex Oxlade-Chamberlain, Gini Wijnaldum and Dejan Lovren held an impromptu crossbar challenge after training at Melwood earlier this week. Who won and who was forced to do a loser's forfeit? 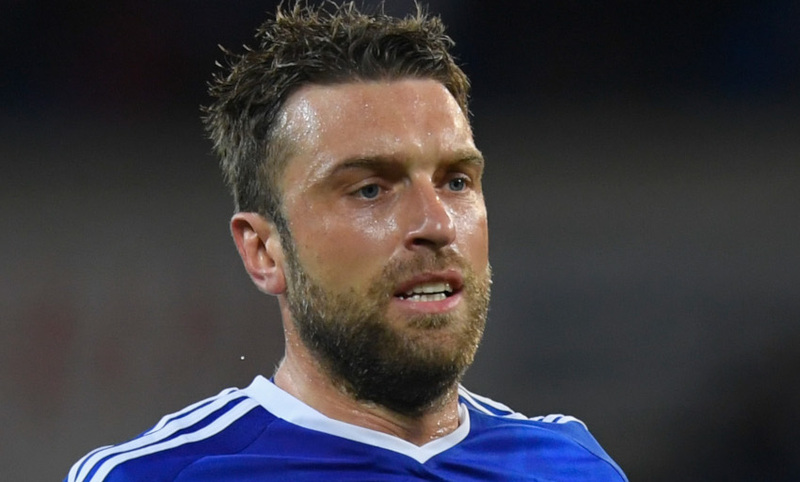 Rickie Lambert played for Southampton in that game below, a few months before he joined the Reds. So, what does a man with a foot in both camps expect from tonight's game? "It’s a huge game for both teams, absolutely huge," Lambert said, on LFCTV’s Premier League Preview Show. "Liverpool are getting results at the minute. 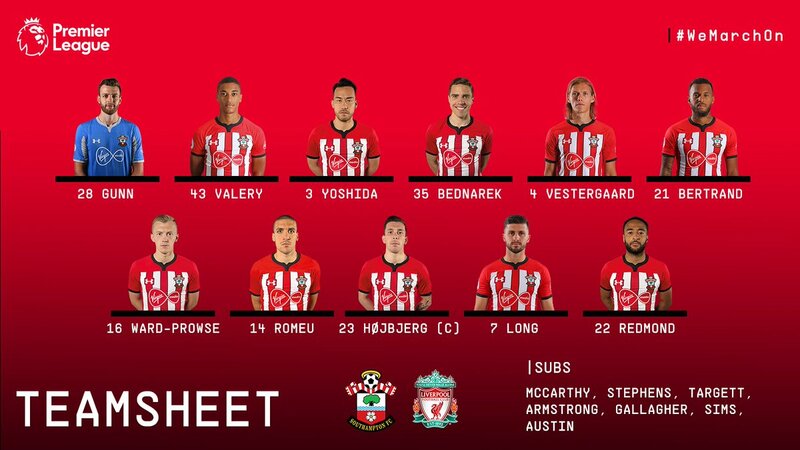 I think if they pass the ball through the lines they will cause Southampton a lot of problems. 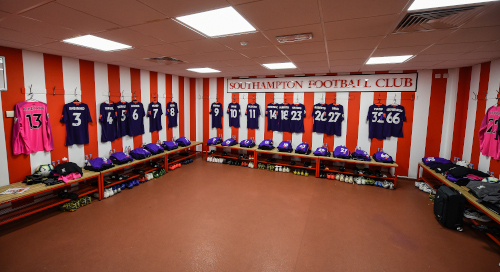 They’re going to need to do it quickly, because once Southampton get in their shape, they’re very hard to break down. 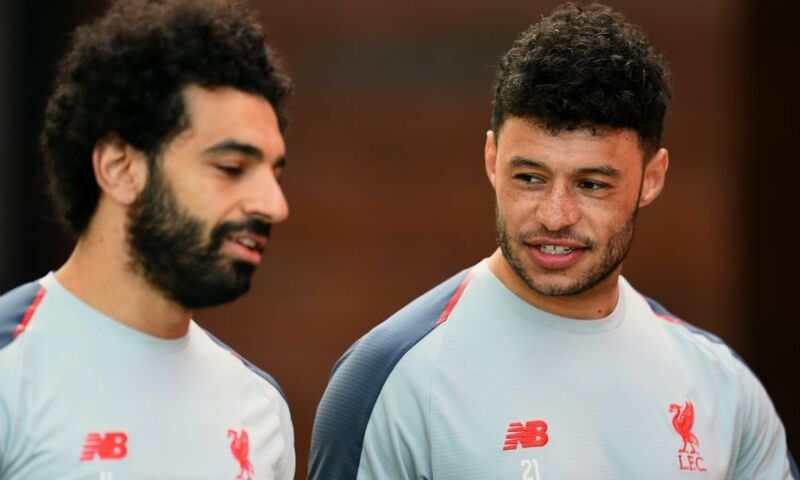 "If you can get it to the front three though, they will cause Southampton problems, so I do fancy Liverpool." Luis Suarez had a hand in all three goals as Liverpool secured a 3-0 win at Southampton in March 2014, but can you remember the rest of the starting XI that day? 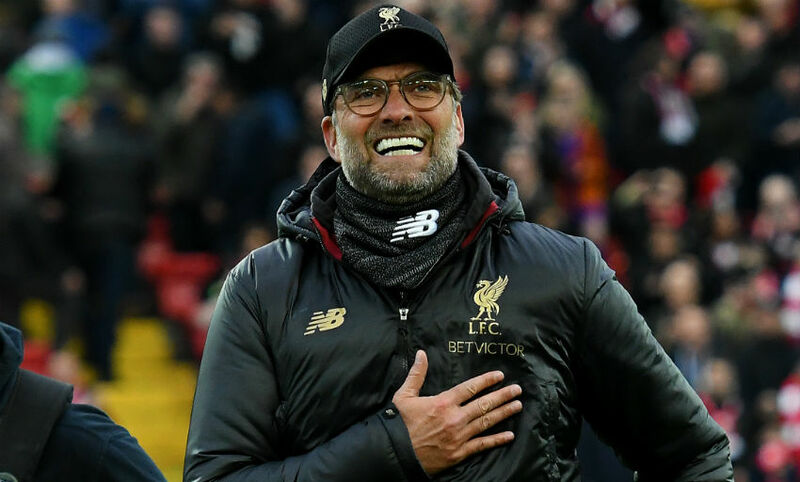 Jürgen Klopp is up for the Premier League Manager of the Month award for March. 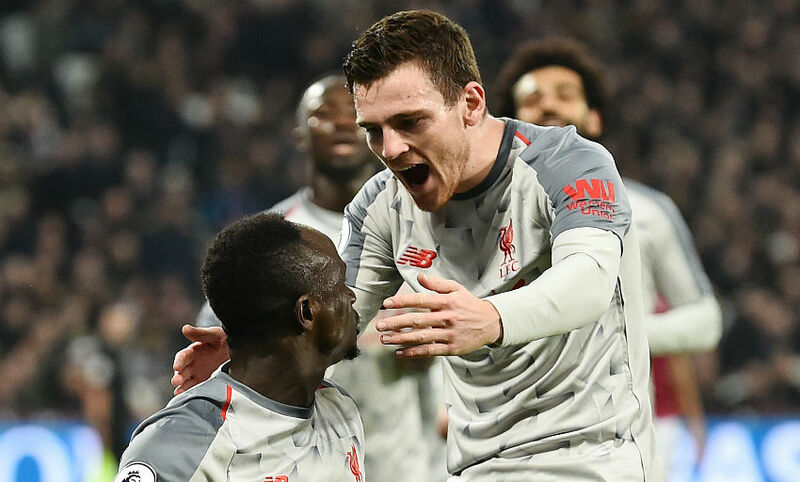 Sadio Mane and Andy Robertson have been nominated for the Premier League's March Player of the Month award. 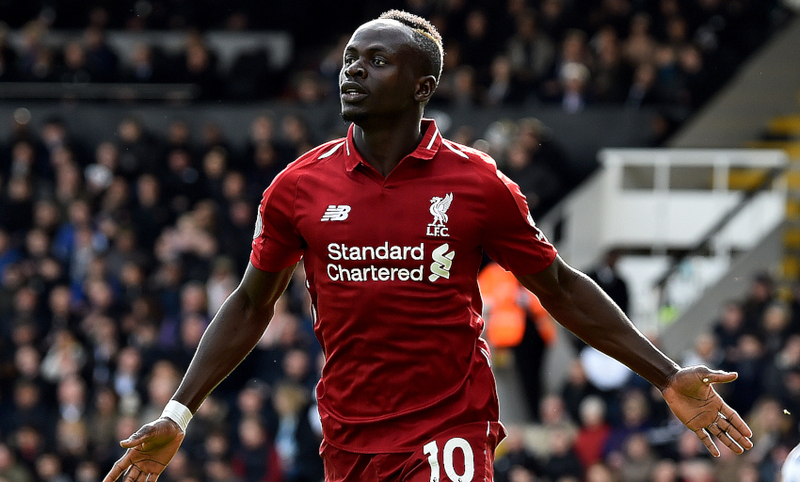 Liverpool are still in contention to win the Premier League and Champions League this season - and Sadio Mane has his sights set on both trophies. “I’m confident we can do it, we’re going to try to do everything to win all six games. 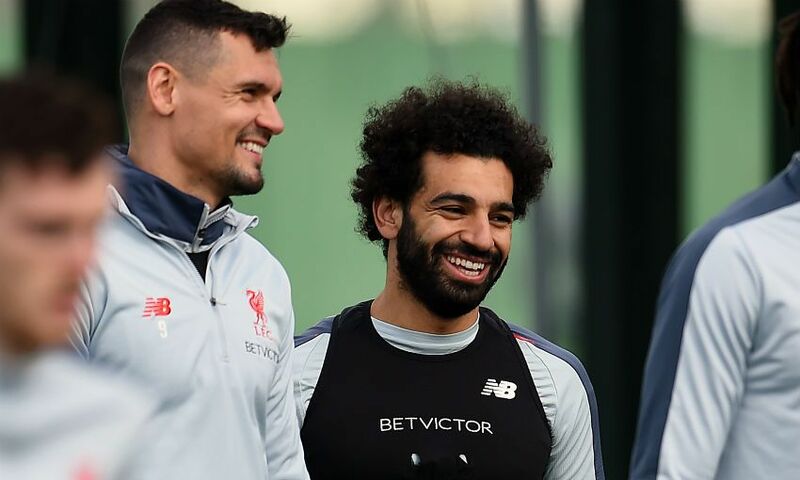 We know it won’t be easy but everything is possible,” he told Liverpoolfc.com of the top-flight title race. 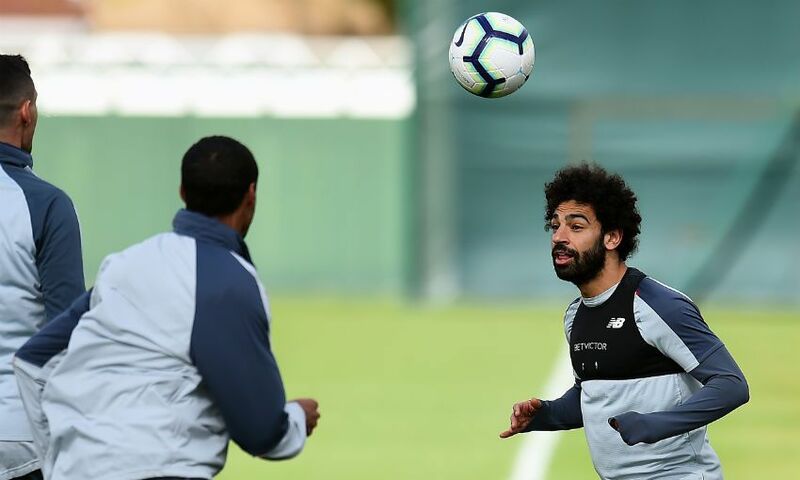 “Every single player is even more motivated at this stage of the competition, because we only have one target: to win trophies. 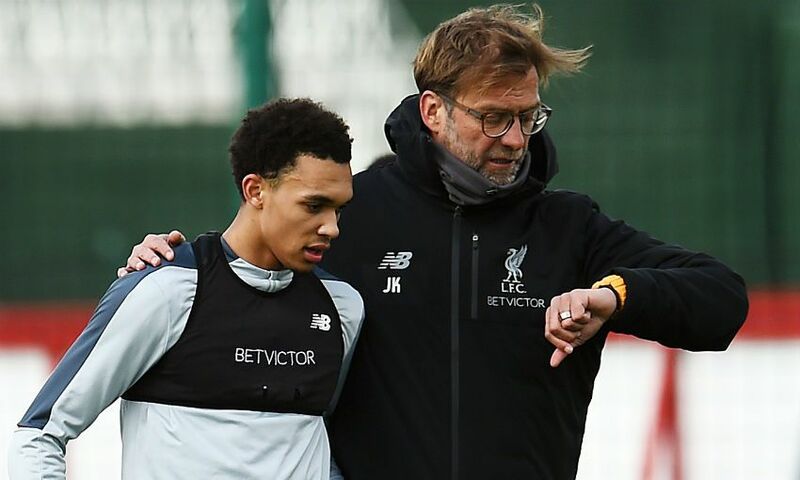 Trent Alexander-Arnold could make his 50th Premier League appearance for Liverpool tonight. Not bad when you consider he doesn't turn 21 until October! Last Sunday wasn't bad, was it? 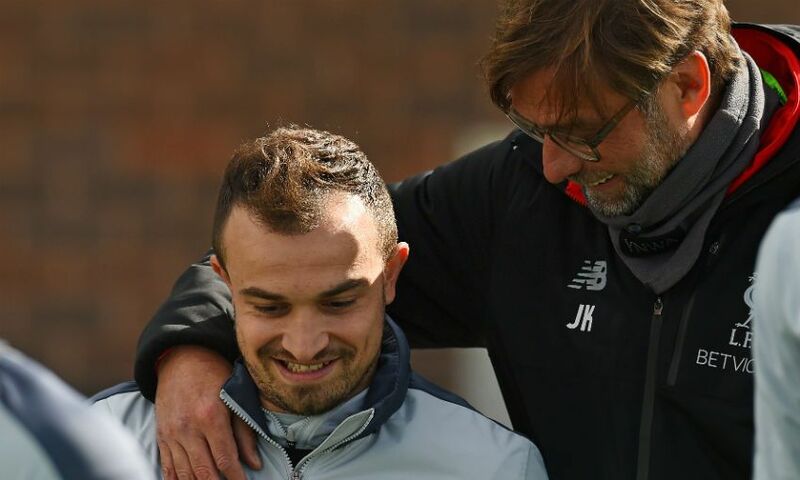 Jürgen Klopp's update Liverpool's injury situation was a positive one during Wednesday's pre-match press conference, which you can watch in full below. 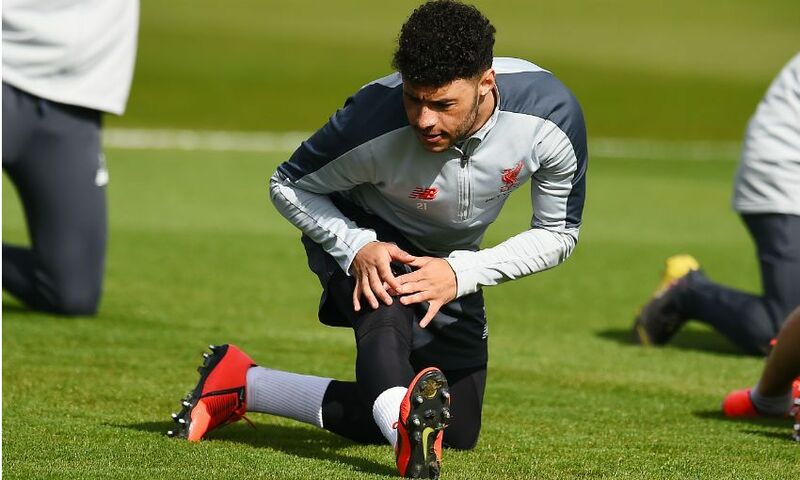 "No major concerns, actually, so we have to see until the matchday obviously but after the [Tottenham] game probably thinking about Virg. 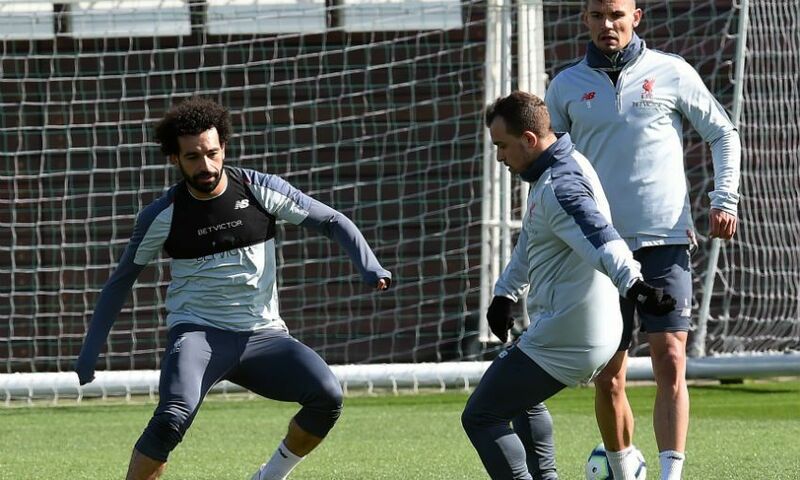 He trained normal, everything OK," said the boss. It couldn't be much tighter at the top, could it? You won't need reminding that Liverpool will return to the top of the Premier League with a win this evening. 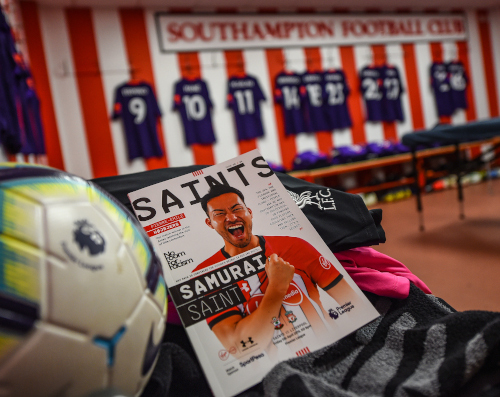 Want the most comprehensive rolling coverage of all the build-up, action and reaction as the Reds visit Southampton tonight? Well, you're in the right place. Stay with us for live updates throughout another massive day in the race for the Premier League title.